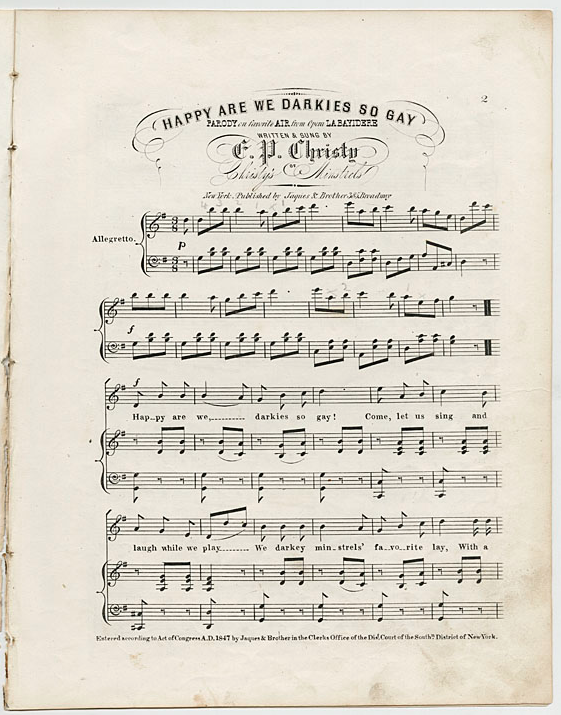 This entry was posted in Ellen Christensen and tagged blackface, christy's minstrels, edwin pearce christy, happy are we darkies so gay, labayidere, Minstrelsy, stephen foster by christes. Bookmark the permalink. Great post, Ellen! I appreciate the way you brought Foster into your story, and I’m especially glad you pointed out that not all songwriters wallowed in the depths of prejudice and discrimination (although there are certainly some Foster songs that do use dialect and offer up stereotypes, like “De Camptown Races”). 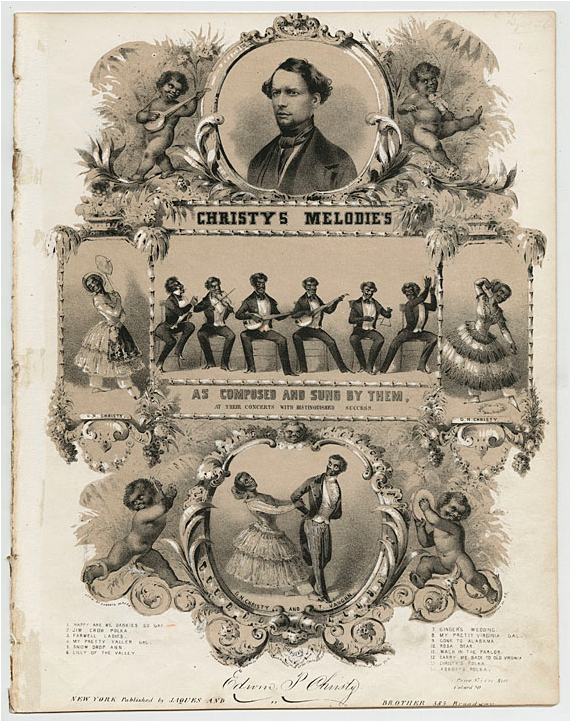 One way to deepen this post is to engage with the music, not just with Christy’s biography. Did you notice the time signature of the piece? How would you characterize the melody? Does Christy ever dip into the repertory of minstrelsy tropes (pentatonic scales, syncopation, slapstick musical phrases)? It’s definitely not easy to connect lyrics or topic with music, but if you can, it’s particularly rewarding (and convincing for the reader! ).